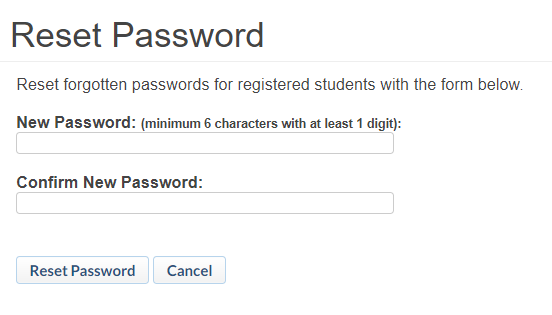 A faculty or staff user in School Loop has rights to reset the password for students. Click on the Student Records link in the Toolbox section of your portal. Find and select the student who needs a password reset. 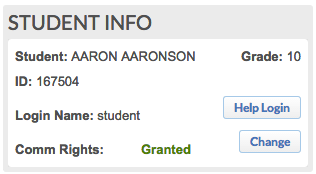 Click the Help Login button in the Student Info section at the right side of the Student Record page. Fill out the New Password and Confirm New Password then click Reset Password. Provide the student with the new password you created and encourage them to reset the password to one of their own choosing as soon as they log in. Test if the credentials work from your end by trying to log in to the student account using the new password.